Anthony Joshua believes he brought motivation to the division that includes Tyson Fury and Deontay Wilder. Joshua will make his sixth world title defence in little over two years when his IBF, WBA and WBO heavyweight titles are on the line against Alexander Povetkin on September 22. The 28-year-old reacted to news Fury is set to challenge WBC champion Wilder by telling JD Ringside: “I was always motivated. I brought motivation to the division. “Before, Wladimir Klitschko was dominating then Fury won. He took some time out. We came up and brought some motivation to the division. 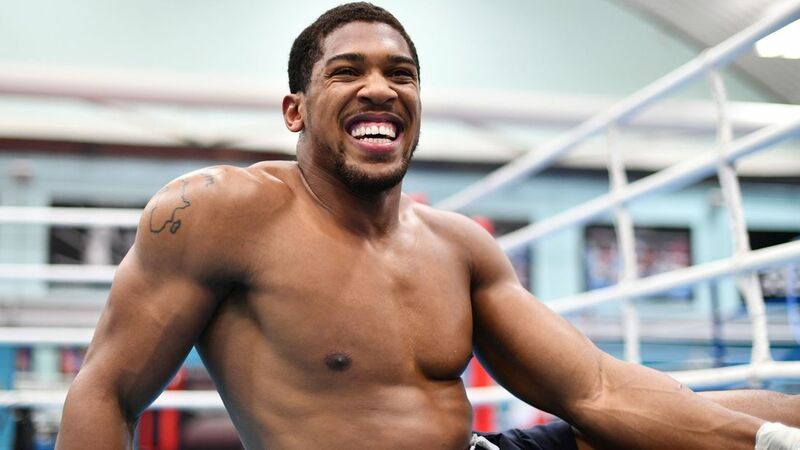 Joshua already has an April 13 date locked in at Wembley Stadium for another world heavyweight title fight – meanwhile, Fury has recently ended a two-and-a-half year hiatus and plans to fight Wilder. The winner of that fight will hold the only belt outside of Joshua’s grasp. “When I win, I’ll have a lot to say because there’s no other route for me to go, other than the WBC,” Joshua said.